Disclosure: I received this product for free to review . The opinions in my review are honest and my own. For many people, there are two reasons why they usually have problems losing weight, finding time to exercise and portion control. While exercise usually is often assumed to be enough, portion control is something that is neglected too often. As I have been struggling with my own weight loss, I decided it was time to get a quality food scale. I have had a cheap one for years, but in all honesty, it doesn't work half the time. As I was searching for the perfect kitchen scale, I discovered the NutriCrystal Wireless Smart Food Scale. After seeing so many great things about it, I reached out to the company, who was delighted to let me review it. Looking for a kitchen scale that doesn't just measure ingredients but can also keep your track of your nutritional needs? If so, we think you will love the NutriCrystal Wireless Smart Food Scale – the worlds first bluetooth scale. Using your bluetooth enabled phone or tablet, you can interact with your scale, transporting serving sizes directly to the application, allowing you to not only track calories, but different vitamins and minerals each day. With a selection of colors and the scale's sleek design, you will be happy to show off the NutriCrystal Wireless Smart Food Scale in your own kitchen! Unlike some other scales I have tried, the NutriCrystal Wireless Smart Food Scale has one very major thing going for it -it's precise and accurate. If you try measuring the same thing multiple times, you will always get the same numbers and using the tare function is fairly easy. At the end of the day, this is the main job of any kitchen scale. What truly makes the scale unique, however is its ability to pair with your phone or tablet using its bluetooth functionality. 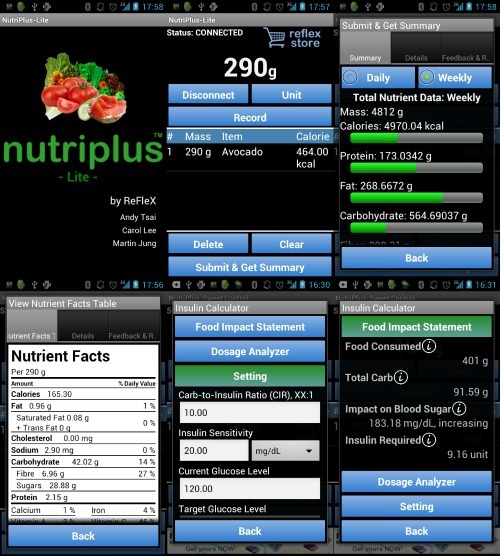 Through this, you can send information directly to your phone, giving you accurate serving sizes for determining calories. One of the things I really like about the NutriCrystal Wireless Smart Food Scale is its sleek design. 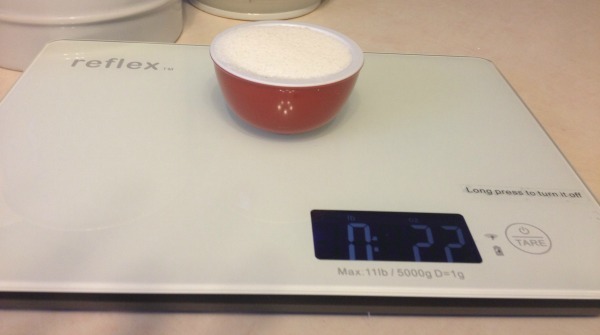 Not only does it look nice on your counter when it's not in use, but you can actually use the entire surface for weighing, allowing you to get a more accurate weight for bulkier foods. Another benefit is its slim profile. If I don't want the scale out at the moment, I can easily tuck it behind my canisters, giving me more of a work surface without taking up even more room. 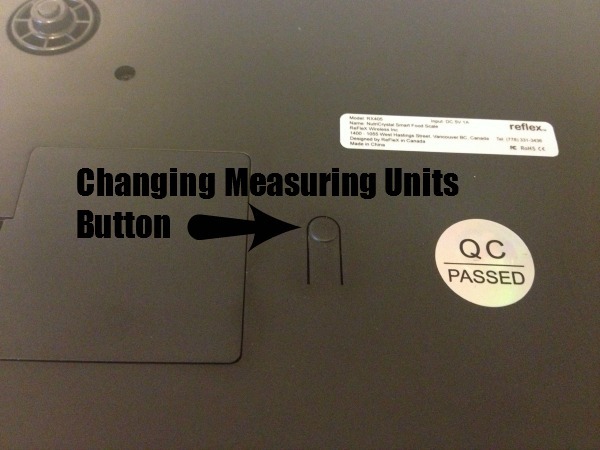 While I do love most of the scale, there is one thing I don't like – the button for changing between different measuring units. Rather than having it on the side of the scale where you can easily access it, it is on the very bottom of the scale, meaning that you have to flip it over, push the button, and flip it back over to make sure you have it on the right setting. This, at least in my opinion, was a bit of a design flaw for the scale. Personally, I love the concept of this scale. A scale that easily bounces between different type of measurements and can move information directly to your phone or tablet? That seems pretty great in my eyes. So far, the scale seems very accurate and I'm pleased with its results. The only thing I don't like is that the app isn't compatible with older version of iOS. Since I am someone who likes manipulating my phone and using features that are only available if you have a jailbroken iPhone, it means I may never get to use all the features of this device. Based on my own experience using the NutriCrystal Wireless Smart Food Scale, I give it an B + rating. Would you like one of these scales for your own kitchen? You can currently purchase the NutriCrystal Wireless Smart Food Scale for $69.95. on the Reflex Wireless website. To learn more, make sure to check out the NutriPlus website and their Facebook page. Would you like to have your products featured in a similar review or giveaway event? Want to increase your social media exposure before the holiday season? See how we can help! Contact susan.l.bewley@gmail.com to see what we can do for your company! I love this, I need this so I can tell how much I eat. This is so cool. This can tell you how much you can eat or should eat. Love it!! I love the bluetooth interaction capability! What a smart idea. I really need a food scale but now that I have read your review, I will definitely find this one for more bang for the buck. Food scales are awesome – they're an excellent way to follow precise recipes, and also to measure food for weight maintenance/loss purposes. This one looks quite snazzy, and I love the color of it! I will be looking for a scale on December 26th. Oh, maybe not then, we'll still be out on the ocean. But around January 2. A scale and a food diary make it much more manageable. 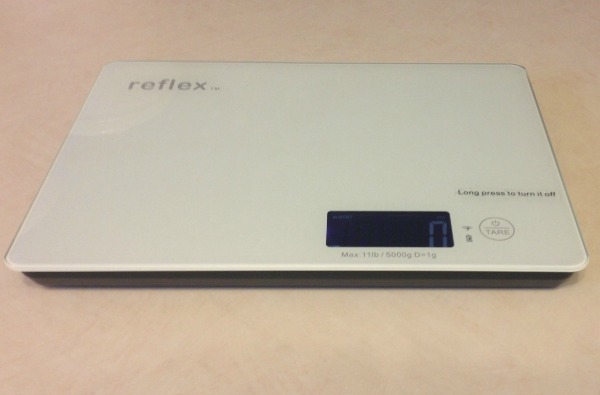 I like this scale but not for losing weight,for measuring in my recipes. A lot of recipes i've seen lately go bt weight instead of the old fashioned way. this scale would be great for that. I'll consider this scale once I get tired of the cheap one I recently bought. I would love one of these. I just saw a few recipes that I didn't pin (and I am a pinaholic) because they had metric measurements and weights. This would be fantastic.